Due to increased electricity and maintenance costs, Camp Vanier has raised our rental rates. Camp Vanier continues to charge amongst the most reasonable camp fees of any Alberta Scouts Canada camps and even with the rate increase, provides excellent value for Scouting activities. Please click on the booking section to review the updated rates. Please note the AGM has been rescheduled. If you are interested in contributing to Camp Vanier, or taking on a committee position, this is your opportunity. 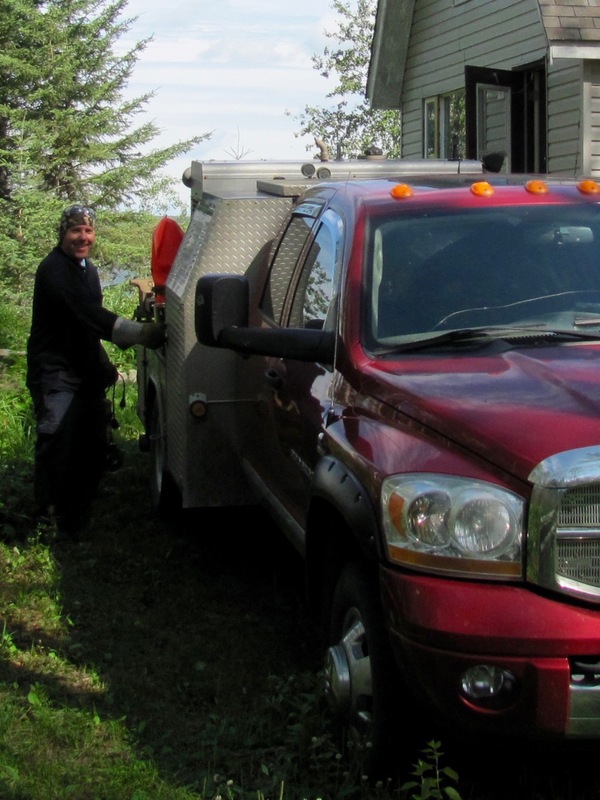 A huge shout out to Terry Shawaga with Shawaga's Welding Ltd. for his help repairing the Leader Cabin stove!!! Construction on the Leader Cabin continues. The siding is complete, and a new deck is taking shape. Stay tuned for more updates! The Camp Vanier Team continues their work to make sure that the camp assets are safe from forest/wildfire. These volunteers have been out cutting tress around buildings to make sure to mitigate the danger of spread. Just one more way that the local group of Scouters help to make sure Camp Vanier remains an amazing resource for Scouting youth in our area. Check out this event in our calendar as well. 4 Wing Cold Lake, home of the CF-18 Hornet is hosting an airshow this summer and Camp Vanier is available for your Scout Group to camp Friday and Saturday night. Camp Vanier is located 15 km North of CFB Cold Lake. • Providing youth related experiences and input to committee discussions. • Acting as a liaison between committee and Scouting youth sections. • Assisting in establishing and reviewing annual (short term) and 5 year (long term) plans for Camp Vanier. This role provides for volunteer and leadership related opportunities in Camp activities and initiatives.